The final leg of the California stint is the Los Angeles Open which is this year sponsored by Genesis for the first time. The tournament is hosted at the beautiful Riviera Country Club and has been held there almost every year since 1973 and has been the scene of some of golf’s most memorable moments such as being the host venue for the debut of a 16 year old Tiger Woods back in 1992. 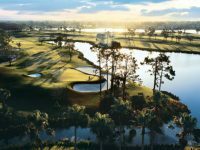 Since then the PGA Tour’s biggest names continue to turn up year in year out to make what is one the most exciting golf tournaments in the calendar and this year will be no exception. 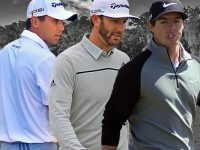 With a prize prize purse of $7,000,000 it comes as no surprise that 8 of the world’s top 10 are in the field with players such as world number 1 Jason Day and last year’s winner Bubba Watson. Despite, Tiger withdrawing last week for due to continuous back spasms, the Tiger Woods Foundation is the tournament’s main beneficiary with funds going to the Earl Woods Scholarship Programme and other TWF initiatives in South Carolina. 2017 is the first year that the Hyundai Motor Group’s subsidiary, Genesis Motors will be sponsoring the competition, with previous sponsors being Nissan and most recently Northern Trust. The inaugural event was played in 1926 at Los Angeles Country Club, since then the tournament has been hosted at several world class golf clubs all over LA. The tournament first came to the Riviera Country Club in 1945-1953 and it was in 1947 – 48 where the course was dubbed ‘Hogan’s Allley’ because the legendary Ben Hogan won 3 times in 18 months at Riviera bagging himself 2 LA Opens and 1 US Open in 1948. The tournament continued to travel all over California until it came again to Riviera in 1973 where it has been hosted almost every year since. The late great Arnold Palmer has also won the trophy when in 1966-67 he won the trophy back to back at Rancho Park Golf Course. Some of the game’s modern greats have also enjoyed plenty of success in this event with Phil Mickelson winning back to back in 2009 and 2010. Bubba Watson has also lifted the trophy on two previous occasion and Nick Faldo won it back in 1997 so the event is no stranger for the big names. This week’s field is as star studded as they come with 8 of the world’s top 10 players featuring. The only 2 players from inside the top 10 who aren’t in Los Angeles this week are Rory McIlroy who is currently injured and Henrik Stenson who has opted to play in neither of tour events this week. World number 1 Jason Day will be looking to bounce back after a 3rd round 75 put him out of contention culminating in what was a disappointing week at Pebble Beach by his standards. The field also includes two of the tour’s biggest hitters: Bubba Watson who will be looking to join an elite club by winning for the second year in a row and Dustin Johnson who will be looking to build on what was yet another solid event for him last week. 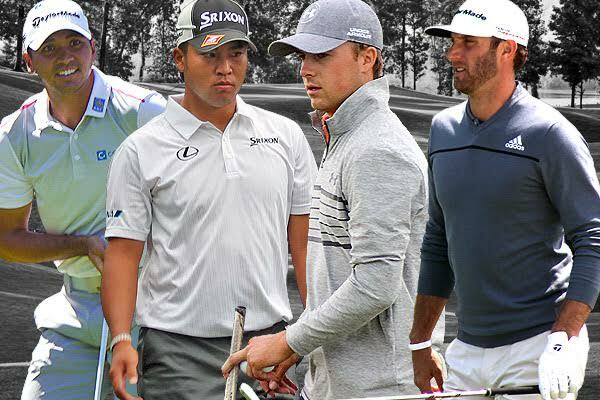 However, the world’s number 5 and 6 are arguably the men to beat at Riviera, both Hideki Matsuyama and Jordan Spieth are in a rich vein of form having already won 1 tournament a piece this year in 2017 and they will certainly be looking to bag another win. The course at Riviera Country Club is certainly a modern day monster. Measuring in at 7,322 yards and being only a par 71, plenty of power is needed when it comes to playing your way round the course. George Thomas designed the course way back in 1926 and had 15 possible layouts in mind before he settled on the one that now features some of the most iconic holes in golf. The par 3 6th hole is famed for having a bunker in the middle of the green whilst the short par 4 10th is arguably the best drivable par 4 in golf. In 2015, the course averaged a par of 72.592 which made it the hardest par 71 course on the tour in the 2014 -15 season and this was further supported by the fact that in the same year in had one of the lowest green in regulation averages on the tour of 9.25 greens per round. Regardless of the course, Johnson has the game to take it on. Few can compete when it comes to his driving and provided his short game matches he should streak ahead of the pack and claim his first ever title at Riviera Country Club. 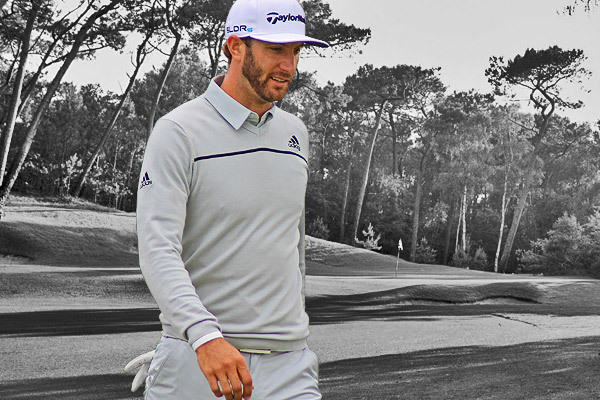 With runners up positions in 2014 and 2015, Dustin is clearly a fan of the course and following his 3rd place finish at the AT&T, including a sensational 66 and 68 over the weekend, it looks like DJ will be the man to beat at The Genesis Open. In a field that features 8 of the world’s top 10 players and 16 of the top 25 surely a winner has to come from one of them. That is why this week my money is Jordan Spieth. As well as being on the best players in the world, Spieth is also an incredibly streaky player and when on a hot run of form like he is now, Jordan never looks like loosing. 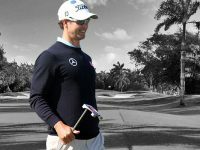 Coming off the back of a convincing victory at Pebble Beach last week where he won by 4 shots, the world number 6 is yet to finish outside the top 10 in 2017 and still hasn’t shot an over par round and therefore it will not surprise me to see him again at the top of the leader board this week. As the old saying goes, “Don’t fix something that isn’t broken”, and I’ll be bearing that in mind this week when looking to the Genesis Open. I went for Brandt Snedeker at Pebble Beach last week and it was only my insistence on punting for an on the nose win, rather than backing him EW, which saw me finish the weekend empty handed. Sneds was my man at Pebble due largely to his previous form at the course and the AT&T Pro-Am in particular (an event he’d already won twice and set the record low score at) but also due to his sustained form on tour since the end of 2016. We now come to the last tournament as part of the California stint on the PGA Tour and this week I have decided to go for Paul Casey, who had a very solid season last year. He had been quiet in recent years but spent most of his time last year playing stateside and what a good decision it was. He won $3,885,560 and finished an impressive 5th on the annual FedEx cup standings. Into the 2017 season, Paul has already had a top 3 and top 10 finish but is yet to win a PGA Tour event since 2009. I’ve got a good feeling for Paul this year, so don’t be surprised if you see his name in contention when the majors come about this year. I think the usual suspects of Spieth, DJ and Jason Day will be competing again this week but at 40/1 for a player of Mickelson’s class, it’s a no brainer for me. Phil’s had a fairly solid start this season with 4 Top 25s out of 5 events and had he not shot a final day 77 at Pebble Beach he could have made it 5 out of 5. This consistency is generally rare for Mickelson so I feel it’s only a matter of time before he puts all 4 solid rounds together and Wins. Also not to forget Phil won this event back in 2008, and has the 2nd most Wins on the West Coast Swing (behind Tiger of course) so as the West Coast swing comes to a close, I’m feeling confident he’ll add to this record.